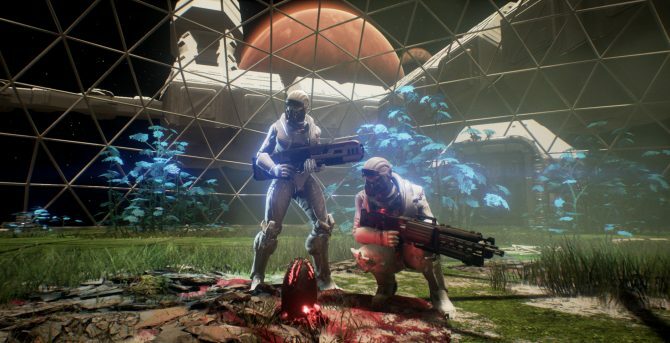 Check out the rogue-like, first-person shooting, base building, and survival game, Genesis Alpha One, in new E3 2017 trailer. 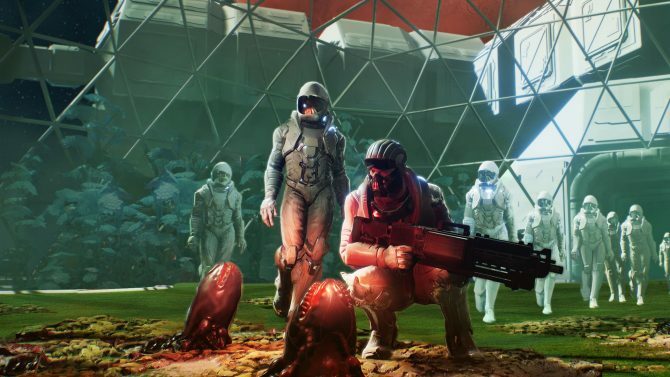 Back in February, publisher Team17 — the publisher behind the recent Yooka-Laylee — and German studio Radiation Blue announced a new sci-fi title called Genesis Alpha One for PS4, Xbox One, and PC. According to the developer, the game is a mix between rogue-like, first-person shooting, base building, and a survival game. 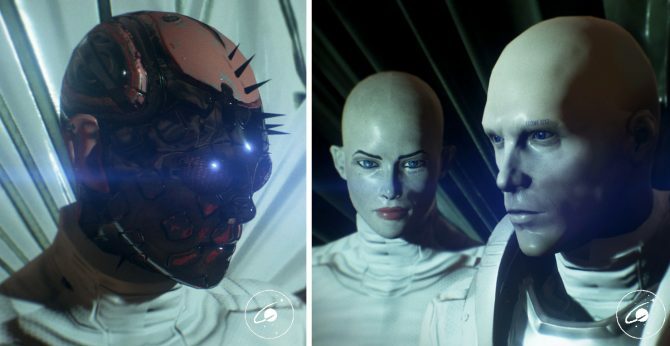 In it you play as an interstellar pioneer in a near future that has been ravaged by wars and left wasted by corrupt regimes and unchecked global capitalism. The result has been an Earth that has been depleted of resources, devastated by pollution, and with societies falling apart. Thus, supported by the few remaining governments on Earth, four prominent corporations initiate the Genesis program. You are the Captain of the Genesis starship, a vessel you will guide through uncharted space, build and manage, farm resources for, encounter aliens and alien infestations with, clone creatures in, and use to build a home for humanity in a vast, randomly generated universe. 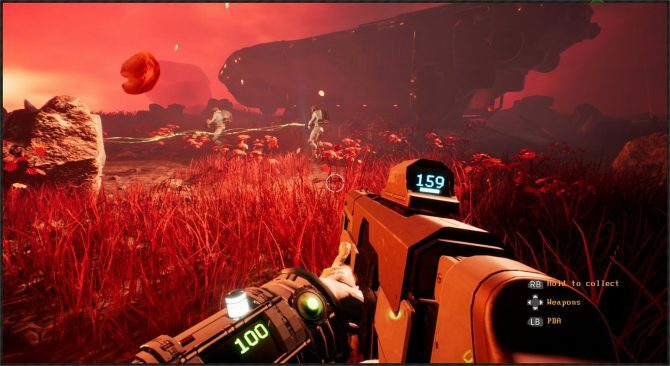 Genesis Alpha One is poised to be Radiation Blue?s first release, however, the developer has pedigree within it that has worked on games such as Spec Ops: The Line, The Settlers, and Hitman: Blood Money. All of that being said, today, the pair released a new E3 2017 trailer that offers up a further look at combat, aliens/alien infestations, base building, exploration, and more.